See you at Microsoft Tech Summit 2018! 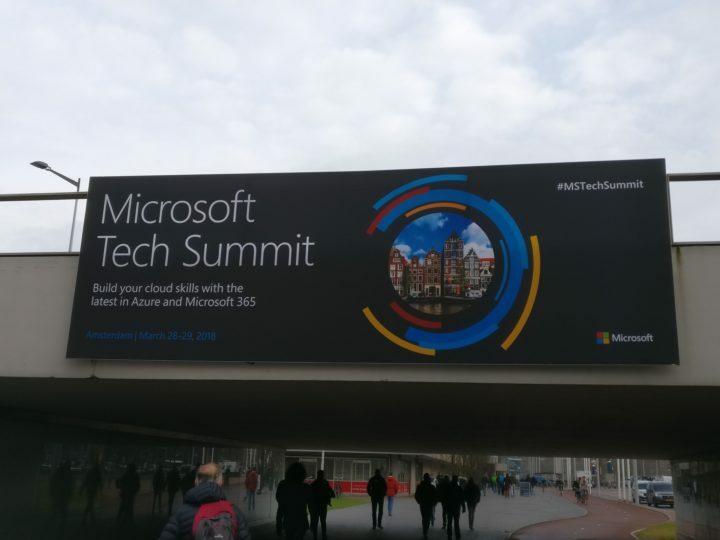 Unfortunately day one of the Microsoft Tech Summit in Amsterdam is over, so time to write a short story about our first day. 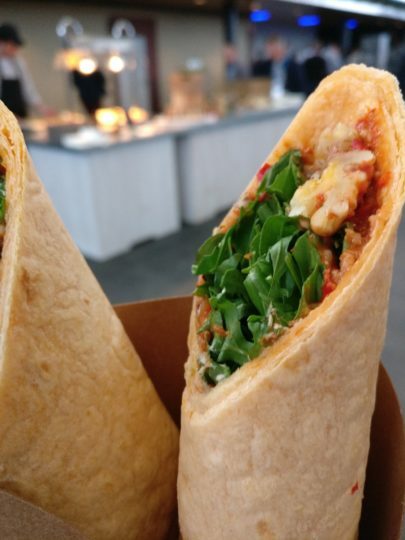 It must be said, the first presentations are amazing. Microsoft is really pushing themselves with the new technologies in Microsoft 365. The first session of the day was the Global Keynote from Microsoft, presented by Lori Wright. She talked about the all new, modern workplace using Microsoft 365. It combines Office 365, Windows 10 and Enterprise Mobility + Security. There are four pillars within Microsoft 365. Let the users be create, don’t let them do repetitive tasks, but automate them using Microsoft Apps (such as Microsoft Flow or Logic Apps). Make sure you “unlock their creativity”. Connect your people using Office 365, but don’t limit them to Email only. Start using Microsoft Teams, Yammer and combine this with your Email. Yammer is the social platform for the company globally. Whilst Teams is the tool for communicating in smaller teams, e.g. connect your development team to your business people for a new project. Connect these tools with your SharePoint and Email. Why limit people working on one office building whilst they could work from home, on their own laptops or smartphones? Just “push” their workspace to their workplace by using Windows Autopilot. Wndows Autopilot is a collection of tools to set-up improve the delivery of installations and resets on your devices. It also enables you to preregister devices and automatically add them to Azure AD. 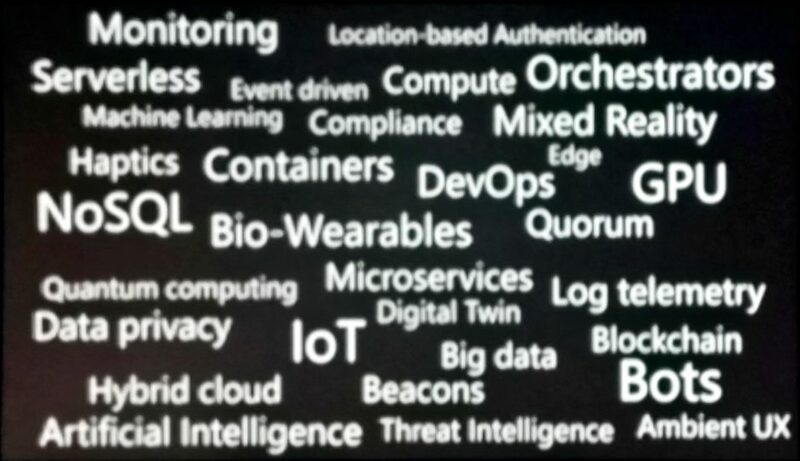 The second keynote of the day, and right before lunch was all about Azure and ‘our cloud’, presented by Tad Brockway. 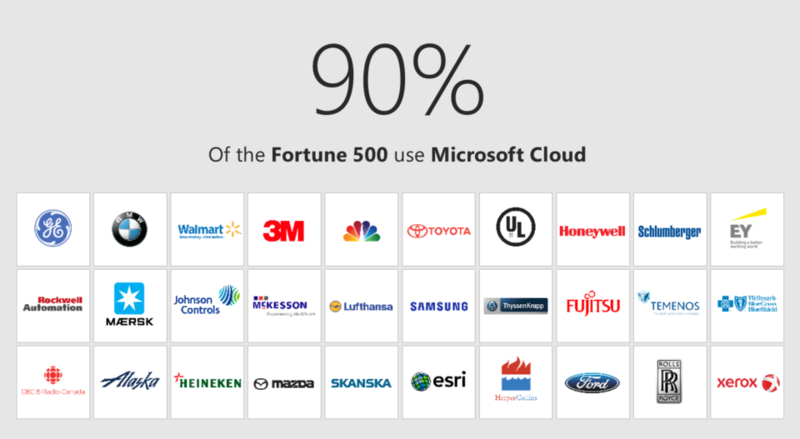 Did you know that 90 percent of the fortune 500 companies uses Microsoft Cloud? 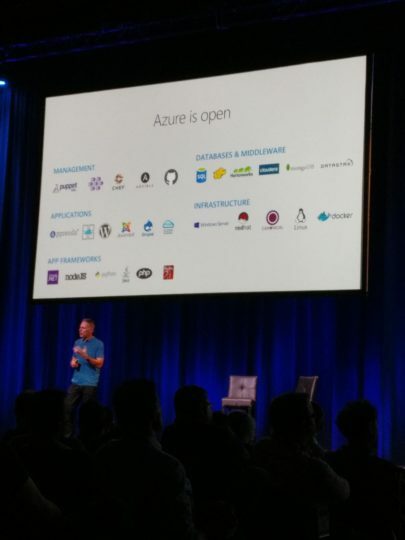 Azure does not only support Microsoft Technologies, but they support Java, Linux, Docker, and much more open source technologies. At a certain point in time, they even said that Microsoft is not anymore the company it used to be. They’re really going open source! And why is Azure for everyone? Firstly, they support a lot of (open source) technologies, and they have more than 50 datacenters around the world! After the lunch, it was time for some low code app development using PowerApps. This was a break-out ‘development session’. 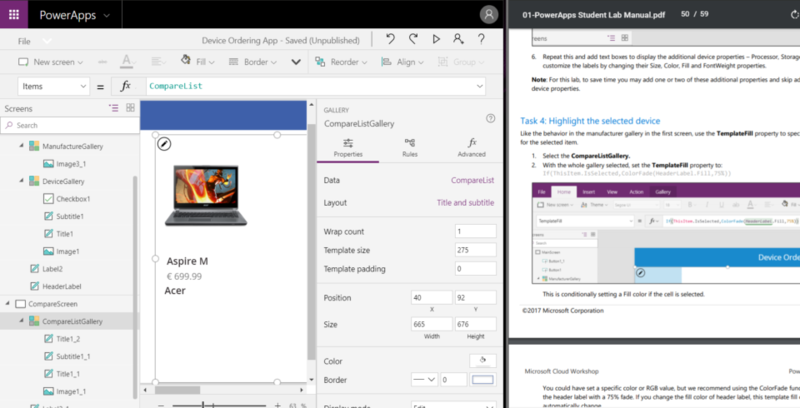 PowerApps is a service that lets you create business apps without the need to code. It uses a combination of data storage and Microsoft Flow to get and visualize the data to your needs. Furthermore, it can also use Flow to automate multiple actions. Since, it didn’t require any coding and only some basic understanding of the data, we were able to quickly complete the necessary labs. We also had the advantage that we could use our Cronos accounts to quickly create a trial environment. The result of the app can be seen below. Since we left a bit earlier from our PowerApp session, we had the time to join Abel Wang in his fantastic session about DevOps and VSTS. This means that when you deliver code, you need to make sure the code is of a good quality, and VSTS supports you in this by it’s automated deploy process. During this process, you are able to designate your environments, build and run automated tests and approvals. This story is even true for non-Microsoft languages such as Java and PHP. It is also possible to create build pipeline for deploying to iOS and in the same time to the Android Platform! Isn’t that cool?